Apple has today filed a new patent for self-maintenance technology with the United States Patent and Trademark Office (USPTO), that details how an iPhone can detect when it is not being used and can automatically clean or heal itself during that time, TechInsider is reporting. 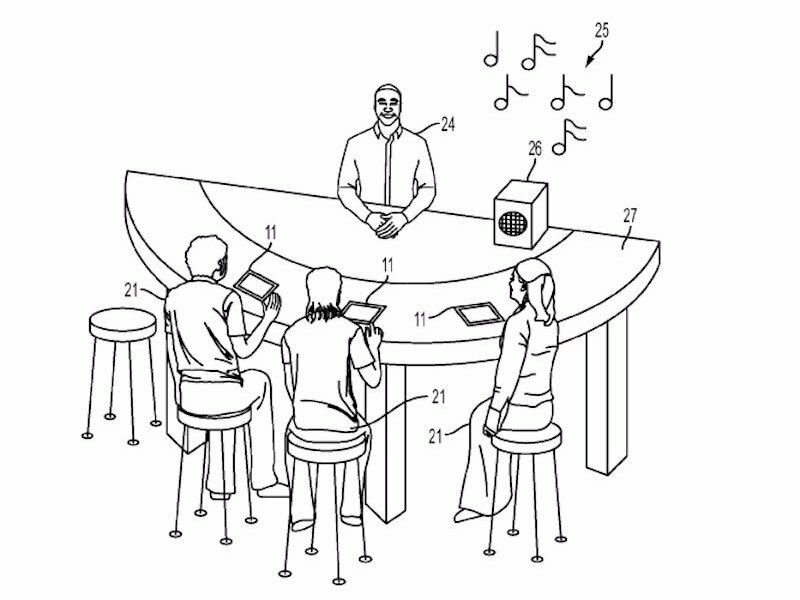 One scenario in the patent involves an iPhone that has been covered in liquid. Apple says that a wet iPhone could wait until the owner is somewhere loud (such as a bar) and then emit a special tone through its speaker that would reduce the amount of liquid in there. 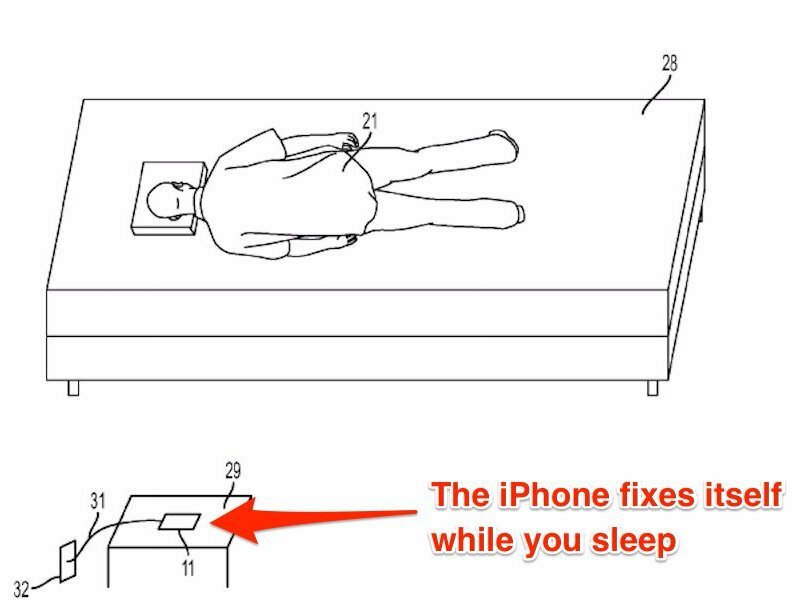 Apple’s filing also details how an iPhone could fix itself while you sleep. Some iPhones have issues with their screens, such as dead pixels. Apple says this can be fixed by cycling through a screen diagnostic schedule that lights up the screen in different ways. Since this can take several hours to complete, the iPhone could wait until its owner is asleep and automatically do it then. Other similar activities suggested by Apple that an iPhone may do while you’re asleep include testing the camera and making sure it’s working, and resetting cellular components if the user had problems connecting to the internet or sending text messages. The patent was first filed for by Apple in July 2014.